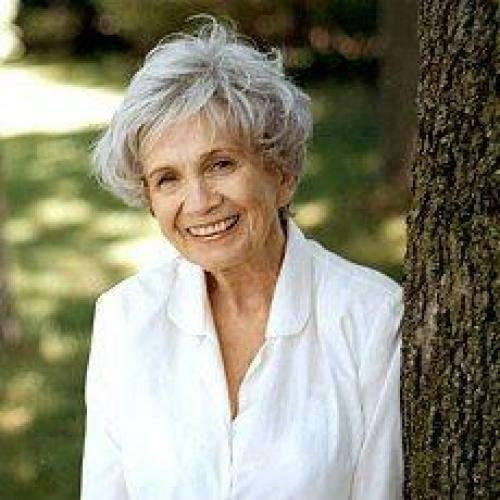 Nearly eight years ago, reviewing Alice Munro’s then–most-recent collection of short stories, I worried that the book—much of it elegiac in tone, populated by elderly characters, its author herself seventy years old—might be her last. Silly me. Since then, Munro has published three books, each of which demonstrates that this writer—universally acknowledged as one of the greatest short-story writers of our time—is anything but content to relax with the form that she has mastered. Runaway, in 2004, featured an unconventional grouping of three interconnected long stories that follow (episodically, not novelistically) a character named Juliet from a life-altering chance encounter as a young woman through old age. Munro’s first explicitly memoiristic work, A View from Castle Rock (2006), includes a series of stories that investigate the author’s own family history and its connections to the local history of her native region of Canada. And now comes Too Much Happiness, which caps a more conventional assortment of short fiction (if work at such a high level can legitimately be called “conventional”) with a historical novella about the remarkable Sophia Kovalevsky, a late–nineteenth-century Russian mathematician and writer. In the flurry of accolades that invariably accompany a new publication by Munro—it is now a cliché to compare her to Chekhov—one can easily lose sight of the fact that her fiction (quite unlike that of the great Russian master, incidentally) focuses almost exclusively on “the lives of girls and women,” as the title of her lone novel put it. This is not necessarily a flaw, but it is worth examining what exactly makes women the subject of her concentrated attention, and what this focus says about where they stand in the world according to Munro. Women’s lives, it seems to me, are more interesting to Munro than the lives of men because they are messier—not simply more difficult (though certain wry remarks here and there remind us of the social and political conditions that do often conspire to make women’s lives more difficult than men’s), but more inclined to chaos, and more demanding of the development of a certain sort of ingenuity to manage that chaos. “How terrible is the lot of women,” muses Sophia Kovalevsky, watching a mother with an injured child on a train, and thinking of her own fight for her place as a female mathematician; and if this statement is too black-and-white to be acceptable as a maxim for the other stories in this volume, most of them populated by characters who are, at the very least, comfortable and well fed, it nonetheless has a certain relevance to their lives. There can be no greater gulf between a man and a woman than the one separating the two main characters in “Dimensions.” Doree’s husband Lloyd, older and controlling, has murdered their three children after a fight in which she stormed out of the house—“to save them,” he claims, “the misery of knowing their mother had walked out on them.” To preserve her privacy, she now lives under a disguise, her hair dyed and styled differently, using her middle name, as if it were she who had committed the crime. Munro has been criticized for the sensational nature of this story and a few of the others in this volume, but the manner in which she manages to make Doree’s situation feel somehow approachable and normal is remarkable. “In one dream,” she remembers, “she had run out of the house after finding them, and Lloyd had started to laugh in his old easy way, and then she had heard Sasha laughing behind her and it had dawned on her, wonderfully, that they were all playing a joke.” Is there a mother (or a parent, or any person who has loved a child) who cannot grasp at once the poignancy of this fantasy? “Wenlock Edge” sets us back in a world more familiar to Munro’s longtime readers. The narrator (whose name we never learn) is a scholarship student at college in Ontario; she works in the cafeteria, lives in a rooming house, and devotes herself to her studies. Her life is interrupted by the arrival of Nina, her exotic new part-time roommate, who spends part of the week at college and the remainder staying in a house in town with a man she calls only “Mr. Purvis,” her lover and benefactor. One weekend Nina is ill, and Mr. Purvis invites the narrator to eat dinner with him in her stead. When she arrives—ill at ease in the grand surroundings and eager to impress—the housekeeper tells her she must remove her clothes: “I hope you’re not a baby. ... Do you think you’re made any different from the rest of us?” And something in her is too compliant, or perhaps too proud, to disobey. The control that men assert over the women who are both their love objects and victims is echoed over and over in this volume: in the case of Sally, a mother tortured by the withdrawal of her son into a cult; or Nancy, a child who disfigures her own face to match the birthmark of the boy who is her best friend; or, most tragically, Sophia Kovalevsky, a brilliant woman undone by her love for a man who cannot forgive her for being just a bit more brilliant than he. Even in “Some Women”—another variation on one of Munro’s perennial themes, the moment in which a girl gets her first complicated glimpse of adulthood—the man at the center of the story, an invalid confined to bed, manages to assert one final act of power over the group of women who are vying to dominate him. But there is a problem with Munro’s portrait of the human world. How do these men, who range from mediocre to truly monstrous, exercise such power over the women in their lives? And why do the women—each of them strong, distinguished, unconventional—allow them to do it? The paradox of Munro’s stories is that the male characters are uniformly unworthy of the rights that the women—and their author—confer upon them. It is not only that their lives are simpler than those of the women—they are themselves simpler, as human beings, perhaps because they are less tested by their circumstances, but perhaps also because their author gives them less to do. Munro may find them frankly less approachable: even the two stories here that are (unusually) narrated by men offer far less complexity of thought than we have come to expect from this writer. “Always remember that when a man goes out of the room, he leaves everything in it behind,” a friend of Sophia’s tells her. “When a woman goes out she carries everything that happened into the room along with her.” Is this not too quick a dismissal of half the human population—even if (in the world of Munro’s stories, I mean) they often seem to deserve it? Chekhov was never so neglectful.